Extra Long 30" Blade for taller practitioners. Heavy, forward weighted balance. With a blade a full two inches longer than your standard production Katana, the 30" Nagasa 9260 Spring Steel Katana was designed with Westerners over 6' tall in mind, especially those who enjoy their heavy duty cutting! Made from the revolutionary 9260 Spring Steel this beast of a sword is fully capable of delivering truly awe inspiring cuts. While it may not be the most agile sword, it makes up for it by the sheer unstoppable force it can generate. A rare opportunity for a larger sized iai practitioner to pick up a longer sword without the expense of going custom, as well as just a great all round and super tough Dojo cutter for serious tameshigiri, the 30" Nagasa represents tremendous value for money. I initially bought this sword to replace a more expensive Hanwei sword I used for tameshigiri. I was too afraid I would mess up that sword so I wanted more of a beater sword. Out of the box the Cheness Nagasa wasn't as sharp as my Hanwei and I was a bit disappointed. I ended up sharpening the blade with a SOG knife sharpener and I was pleasantly surprised by the results. I really started to fall in love with the sword. After a bunch of cutting, I liked it so much I decided to buy a second. 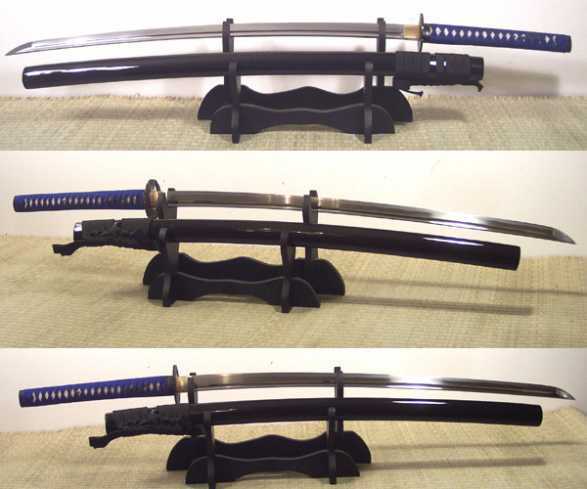 At the time I was using a 29" Hanwei iaito for my iaido practice I had enough training in iaido, that my teacher was suggesting I get a longer sword. I ended up buying my second Nagasa. I dulled the first one down with a file and started using that as my iaito (I was still too chicken to use a live blade for iaido). The new one became my cutter. I really wanted to practice and cut with same sword, which I had not been doing. The blade is really where Cheness puts the most focus. I can't complain much about that besides I had to sharpen it a bit. They cut some corners with the tsuka, saya and fittings. That's how they keep the costs so low. The tsuka ito is a standard cotton wrap. Nothing fancy. It is tight. The blue is nice. It has held up well from use. They do not do the appropriate alternating handle wrap, which a traditional katana should have. It bothers me a bit now as similar priced swords (I.e. ronin katana) do the alternating wrap plus use silk. The saya is where I have had the most issues. It's functional, but not really for heavy iaido usage. I have actually had some email discussions with Paul Chen about it. There is a seam close to the kurigata, that is lacquered over. It's very faint. But with a lot of saya manipulation in iaido, it's a weak point and I have cracked the laquer coating along that seam. Also, other companies are starting to use buffalo horn for parts of the saya at similar price points. As a whole I still love the sword. 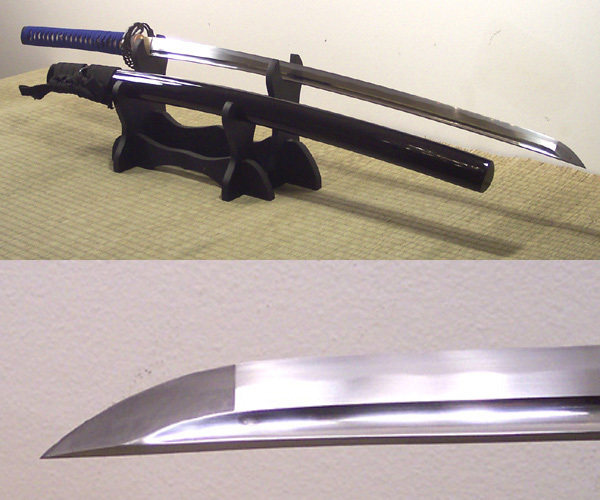 I still cut with it but my iaito version has been retired for a much more expensive sword. I am even contemplating buying the international version that comes with the black ray skin and matte saya. I would definitely recommend it, and all of Cheness' line if you want to do some backyard cutting. I would recommend it for a tall, entry level iaido practioner who is on a budget and doesn't want to spend more than double on a custom zinc aluminum alloy iaito from Japan. It's not the sword for a really seasoned iaido practioner.